We are delighted to announce that Pipistrel just signed the World’s largest single contract about the delivery of light aircraft with the Indian Armed Forces. 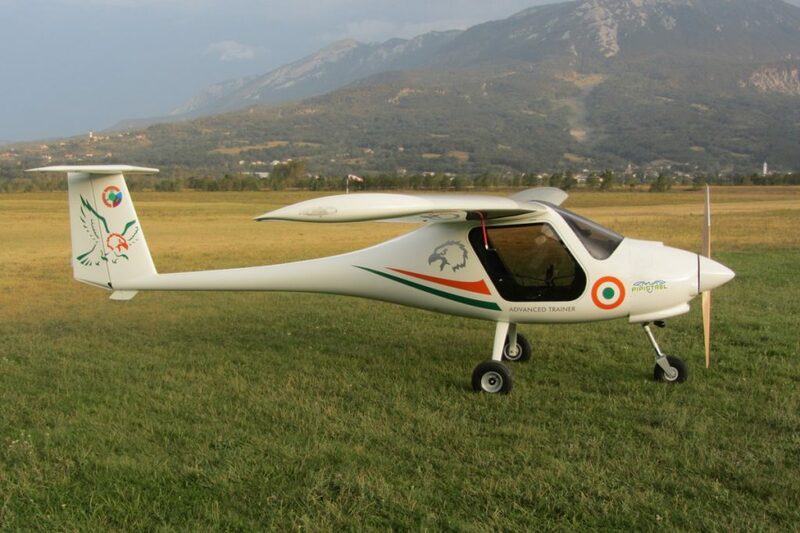 Pipistrel emerged as the winner to supply 194 aircraft to the Indian Air Force (IAF), Indian Navy (IN) and National Cadet Corps (NCC). Globally renowned light aircraft manufacturer with 26 years of aircraft design and production experience will equip Indian Air Force (IAF), Indian Navy (IN) and National Cadet Corps (NCC) with its modern, carbon-fibre Microlight aircraft Virus SW 80 “GARUD”, as a result of “Request for Technical and Commercial Proposal (RFP) for Microlight Aircraft” Air HQ/S 96066/4/ASR/MoD2395/DPB/AW-Air(T)/MA/Vol-1 dated April 13th 2011. Pipistrel was selected as the winning bidder in the tendering competition among eleven international Original Equipment Manufacturers / Authorized Vendors. Pipistrel’s CEO Mr Ivo Boscarol says: “With more than a quarter of century experience in the field, Pipistrel makes the ideal partner to IAF, IN and NCC. Our Virus SW 80 “GARUD”, which was carefully configured to suit and fulfil the requirements of all ordering parties, is a culmination of advanced design, state of the art composite construction and modern digital avionics, forming a 21th century basic trainer solution any operator would envy. I am proud and delighted that our product emerged as the winning proposal amongst fierce international competition and I look forward to learning about many new pilots that will have taken to the skies in the “GARUD“. Pipistrel’s Virus SW 80 “GARUD”, named after a bird that appears in Hindu mythology and is the mount of the god Vishnu, was thoroughly tested. All the aircraft participating in the tender were tested in the extreme Indian conditions such as high temperature and humidity, extreme altitudes and similar. “Garud” had successfully cleared all the evaluations at the Field and Maintainability Evaluation Trial. Ivo Boscarol, the General Manager and owner of Pipistrela, signed a Delivery Contract for 194 aircraft today in New Delhi, India, with the representatives of the Indian armed forces. »This is without a doubt the largest contract in the entire 26-year history of Pipistrel. We will produce either 6 or 7 aircraft each month for the Indian Army. This means that for the next two and a half years, half of Pipistrel’s production capacity is sold out,« said Boscarol after signing the contract. After the aircraft »Garud« had been chosen for technically the best and most suitable among all the applicants and after the final price had been determined, it took over two years of negotiating all the details of the contract. Pipistrel will begin with the deliveries to more than 100 locations all over India in 8 months time. All 194 aircraft must be delivered within a period of thirty months after the first delivery. The contract also binds Pipistrel to deliver a further 100 aircraft after the third year, should the buyer want so. All together this means that Pipistrel will produce almost 300 aircraft. To ensure smooth and uninterrupted operation of the “GARUDs”, Pipistrel will equip IAF, IN and NCC with spare engines, ground support equipment and tools, special multi-year spare parts packs, extended 10-year product support, as well as train a large number of aircrew, instructors and technical staff. 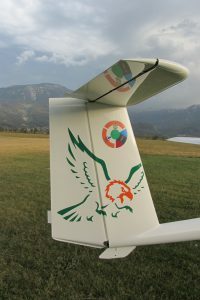 The Indian personnel will be trained by a Pipistrel’s partner company from Slovenia, the »Pipistrel Academy« which trains pilots and new instructors. They will teach pilots how to fly the new aircraft and prepare the Indian instructors to perform further education themselves. Pipistrel will also train the mechanics, which will then provide continuous technical support and regular maintenance of the aircraft. Pipistrel will not need to need to compensate sales with any offsets nor will they have to produce or assemble the aircraft in India.